Nov 2008: Conrad Murray called Applied Pharmacy in Las Vegas to inquire about Benoquin, skin bleaching cream to treat Vitilago. Dec 2008: Murray prescribed 30 tablets of Temazepam (Restoril) for insomnia. It was prescribed to take once at bedtime. 3 tablets were left at the time of his death. in late January 2009 he complained to Cherilyn Lee about asleep issues. Jan 26, 2009: Michael signed a contract with AEG for This Is It Tour. By most accounts, he had stage fright and he was afraid & nervous. Late Jan 2009- Michael met Cherilyn Lee and complained of problems falling and staying asleep. Cherilyn Lee began natural treatments to aide Michael’s medical condition. She will continue these treatments till April 12 but to no avail. 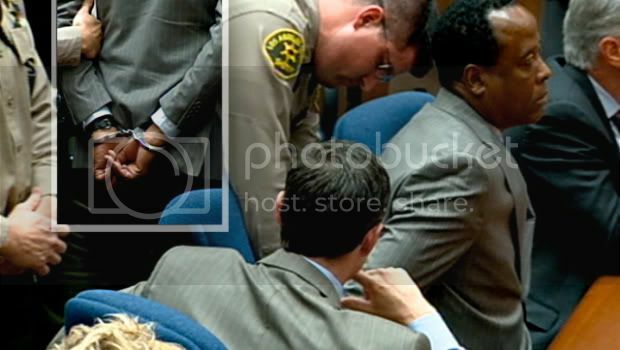 he had inquired about last November, Conrad Murray calls the pharmacy again. Increase in number of shows wasn’t the only stress Mr. Jackson faced. He was being pulled into two opposing directions by 2 camps with their own respective business agendas. Both AEG and AGE (AllGood Entertainment) aspired to plant their respective agents (Frank Dileo and Leonard Rowe) as Michael’s manager. Tohme Tohme had power of attorney and he was making a lot of business decisions without Michael's knowledge. In a recorded phone conversation, Michael expressed his concerns about Tohme, stating that he didn't even know how much money he had in his bank account. Michael also started rehearsing at Center Stage in late March. All these factors would cause ANYONE to lose much needed sleep required to fulfill the next day’s obligations. April 2, 2009: Murray came in to personally pick up Benoquin. He asked if future orders of Benoquin could be delivered to his Vegas Office. Pharmacy was affirmative. April 3, 2009: Murray called the pharmacy, inquiring about Propofol. I believe this is the first time Michael talked to Conrad Murray about the possibility of obtaining Propofol. Murray called the Applied Pharmacy to inquire if he can buy Propofol. Pharmacy had to look for suppliers. Tim Lopez of Applied Pharmacy said he would get back to Murray. April 7, 2009: Courier delivered the order to Murray’s Las Vegas office. Murray took out several bottles of Propofol and had the rest shipped to Murray’s girlfriend’s apartment in Los Angeles. Dr. Patrick Treacy, Michael's personal doctor while in Ireland, said that Michael wouldn’t let him administer Midazolam in 2006 without an anesthesiologist. This tells me that, at THIS point, Michael only intended Murray to obtain Propofol. Dr Adams had anesthetized Michael four times in 2008 for dental procedures. Michael, Conrad Murray and Dr. Adams meet at Murray’s Las Vegas Office. Dr. Adam told the police that Conrad Murray and Michael said to him in this meeting “We think it would be great to have an anesthesiologist go on tour"
“I'd like to be on board. Let's talk about it" but he never heard back from Murray. Nicole Alvarez testified that starting April, Murray started to stay at her LA apartment. I believe that Murray commuted to administer Michael Propofol. to Anesthesiologist David Adams who was affirmative, why wasn’t he hired? The answer I came up with is this: AEG didn’t come into the picture until May. AEG first talked to Murray on May 8, 2009. By then Murray already “mastered” the art of Propofol administration. He even INVENTED a medical equipment for Propofol treatment (saline bag holding Propofol vial –will be covered in detail in another post). Everything was flowing swimmingly…or so Murray & Michael thought. so that HE can pocket the $77,000. Murray was supplying, administering and monitoring. Michael was happy to be getting "sleep" so he may have foolishly trusted in Conrad Murray’s medical aptitude and didn’t push further for an anesthesiologist. Chernoff: Do you recall that Dr. Murray told you about a period of time when Michael Jackson visited Las Vegas and called Dr. Murray, hoping to get him to obtain a doctor for him. Do you remember that conversation? Chernoff: And the doctor who came to the scene to give Michael Jackson Propofol made Michael Jackson so happy that he offered them both jobs on the This Is It Tour? Chernoff: That doctor’s name was Dr. David Adams? at the time with Dr. Adams, Michael Jackson was given Propofol, is that correct? Walgreen: And whose office was Michael Jackson knowingly given Propofol? Walgreen: Did Dr. Murray also indicate that he allowed his office to be used because among other things, he had a crash cart and necessary medical equipment there?